Getting rid of plastic and paper straws is best for our environment. You need to be the first to hand out our Stainless steel Straw Kit. Clean these straws with the provided cleaning brush for re-use. These straws come in a burlap drawstring bag for you to take on the go. As we try to save the planet, be the environmentally conscious company with this stainless steel straw kit at your next event. You can engrave your logo on the straws themselves or have your logo printed on the outside of the burlap bag. Dimensions:	Curved Straw: 8 5/16" x 3/16" Dia. 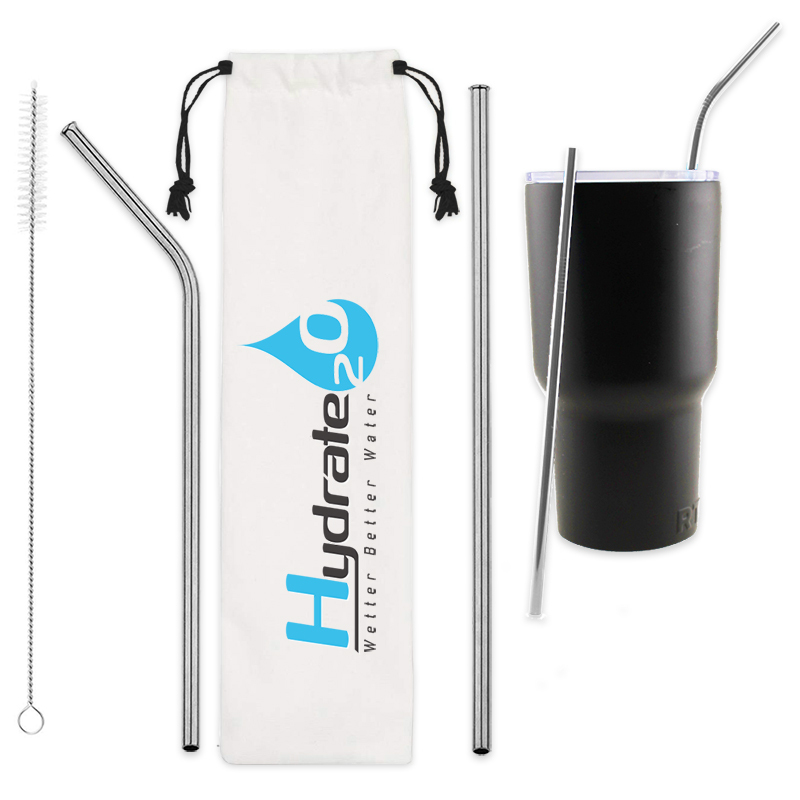 Straight Straw: 8 ½" x 3/16" Dia. Cleaning Brush: 9 ½" x 7/16" Dia. Drawstring Burlap Bag: 10 ¾" x 3"
Imprint Area:	Straw: 1 1/8" x 1/4"